Spectacular waterfront villa in the exclusive Tryall Club. Rented as a 4,5 or 6 bedrooms!! 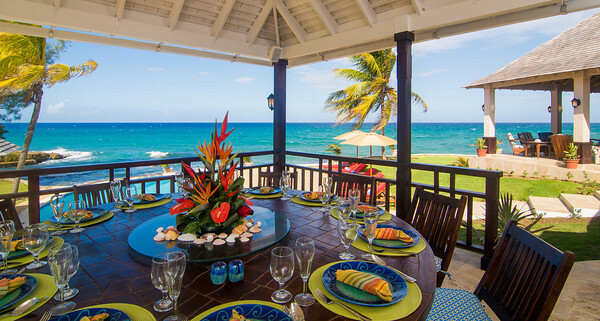 Karma Bay is a Jamaica villa that creates a feeling of being in a tropical paradise, where every guest’s each wish is fulfilled. The vision behind Karma Bay Villa is to create a home away from home, in the exceedingly lavish and indulging environment. 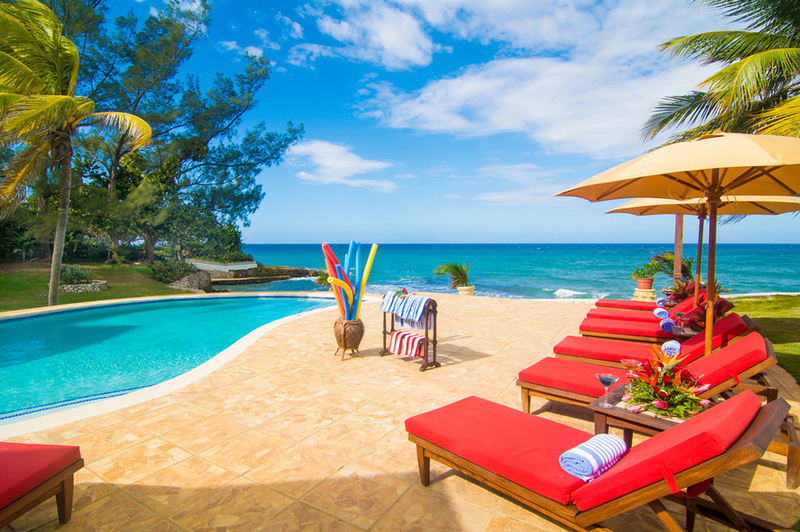 The villa is very spacious and has an extremely beautiful interior, making it one of the most stunning waterfront locations among villa rentals in Jamaica. 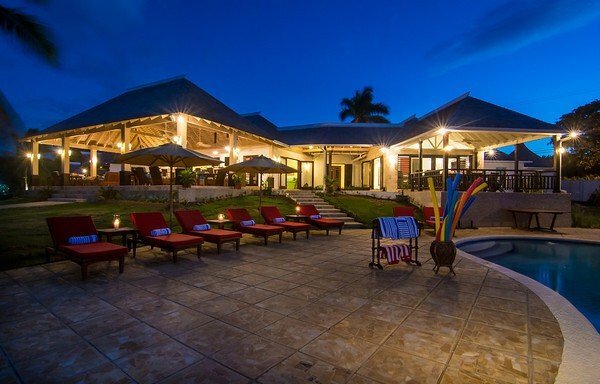 Set in a sprawling complex, Karma Bay Villa has a unique architectural structure that provides privacy, while presenting large groups of vacationers the option to convene at the exquisitely decorated common rooms such as the large living room, a lovely dining area and an expansive family space. The media lounge is equipped with cable television and stereo sound system. 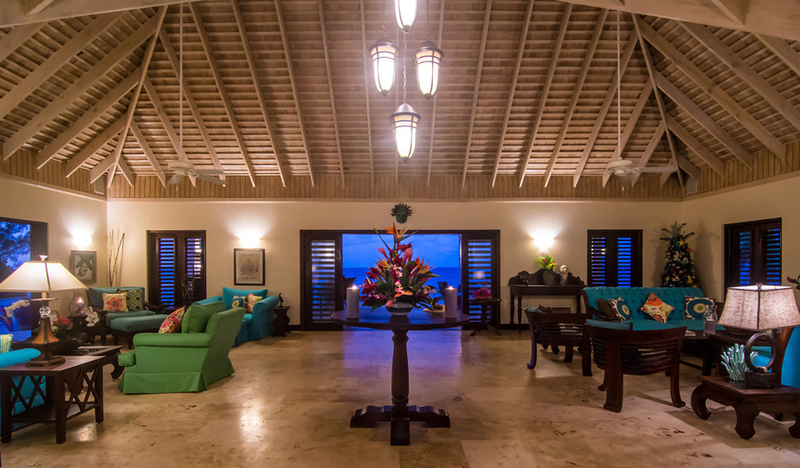 Nearly every room in the villa provides panoramic views of the ocean and the surrounding landscapes. 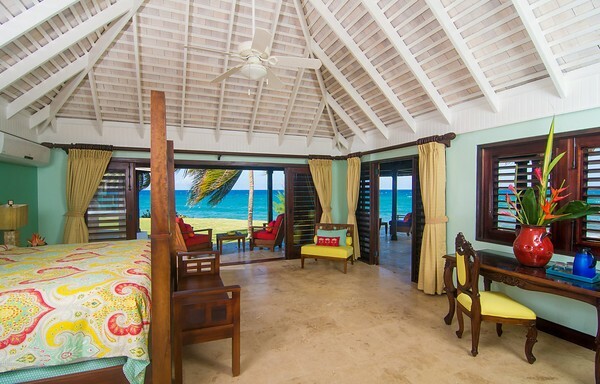 The six fabulous private bedrooms are all air-conditioned and come with en suite bathrooms. 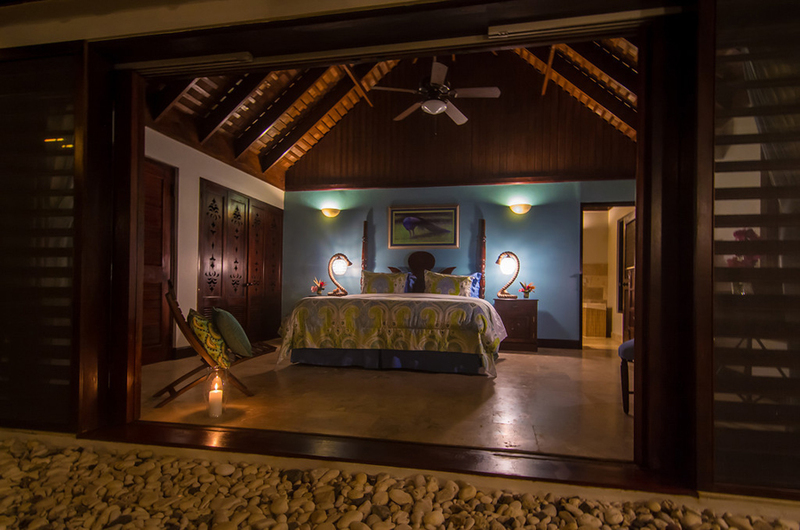 Each bedroom is equipped with CD and DVD players, cable television and king-sized or twin beds. The bathrooms have lovely fittings, including luxuriant waterfall showers. 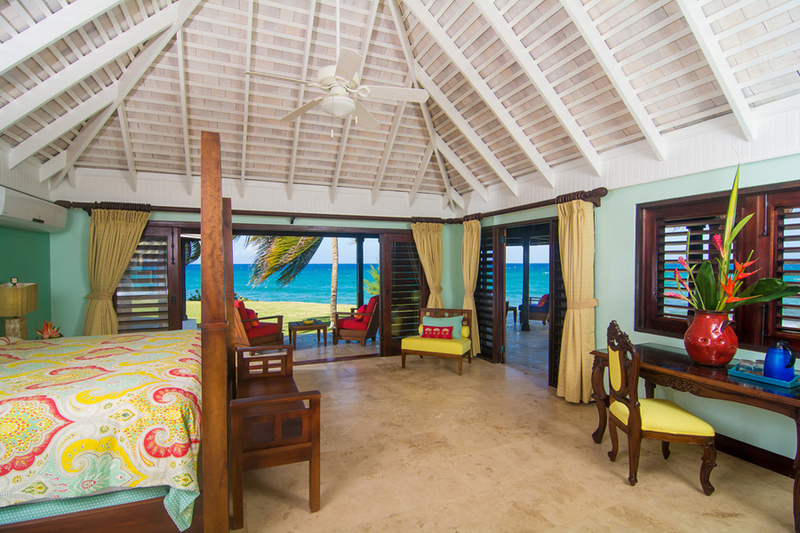 The ambience at Karma Bay Villa is vibrant because of the bright, passionately colored décor used in the furnishings, reflecting a lovely fusion of Asian and Caribbean influences. 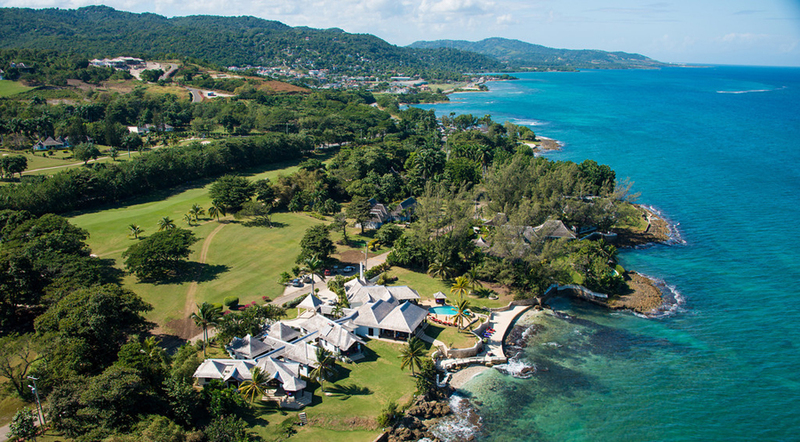 Being located on the edge of the spectacular Caribbean Sea makes the luxury villa Jamaica, a valued destination. The gentle hum of the ocean’s waves provides a continued backdrop for every activity, creating a delicious hum of tranquility. 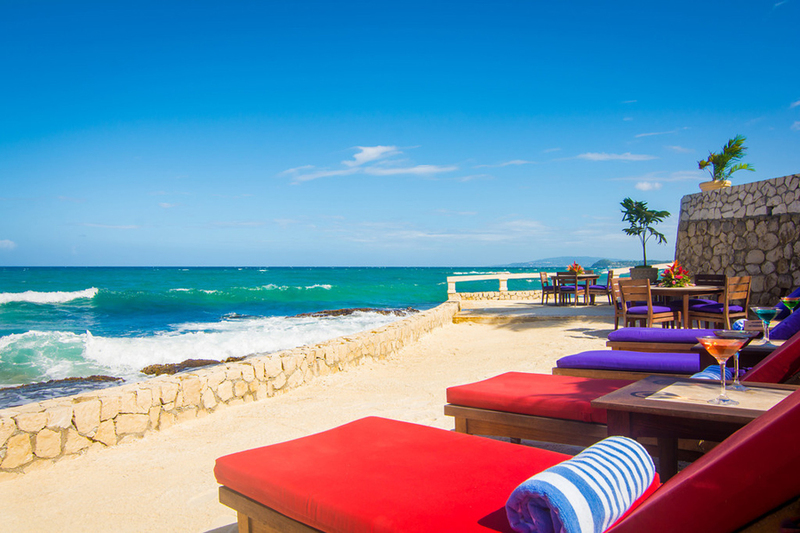 Guests can enjoy the serenity of the environment, while resting in the lovely hammocks placed near the beach. 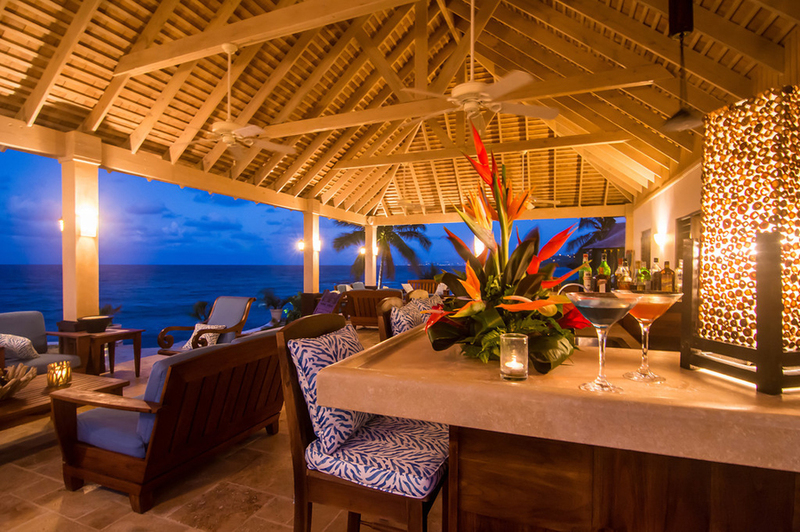 Karma Bay Villa’s wet bar is positioned in the verandah so that guests can sip on their cool, refreshing tropical cocktails prepared by the barman while relaxing in the sitting area. Karma Bay Villa is excellent for family, friends and group holidays, as it is designed for privacy, solitude and quiet moments. 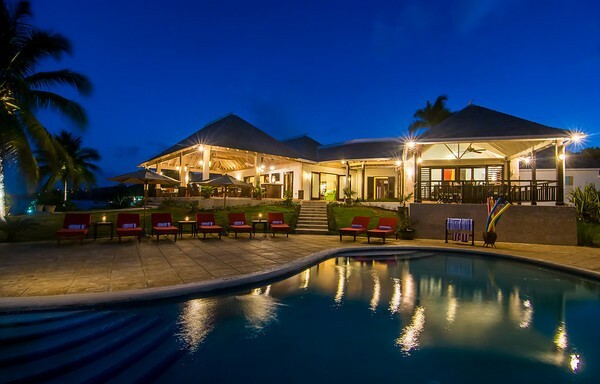 Leisurely dips in the villa’s lovely pool are excellent when guests want to stay at the villa. 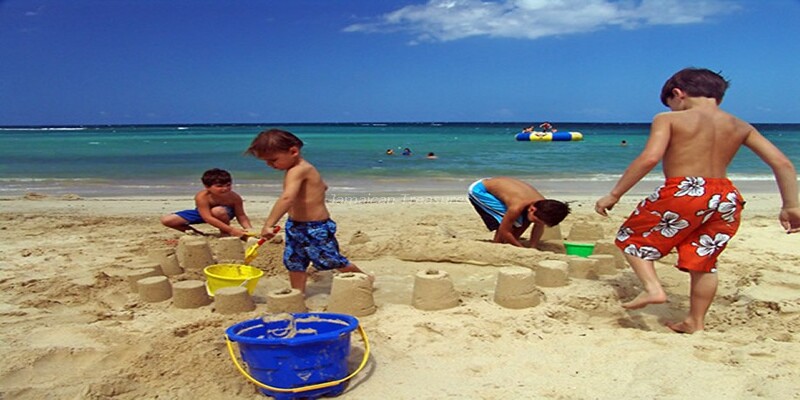 Guests can do as much as they want or absolutely nothing at all! 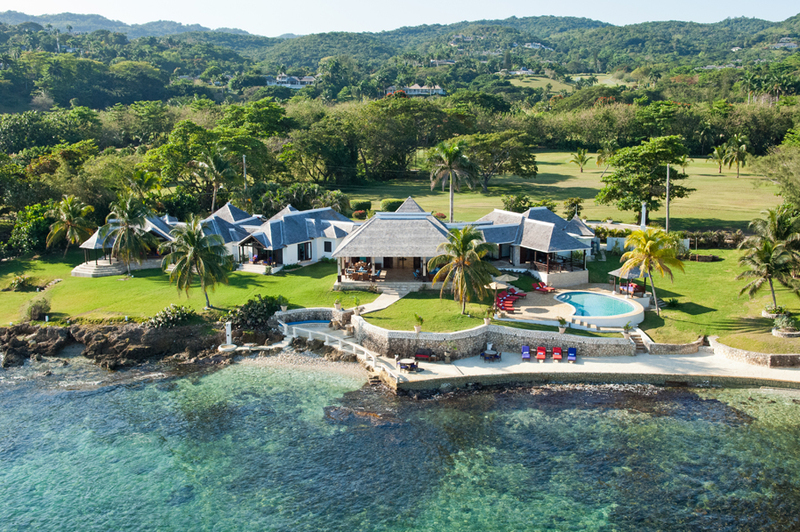 The close proximity of the world renowned Tryall’s Club golf course provides innumerable options for entertainment, making Karma Bay Villa one of the most desirable villas in Jamaica. 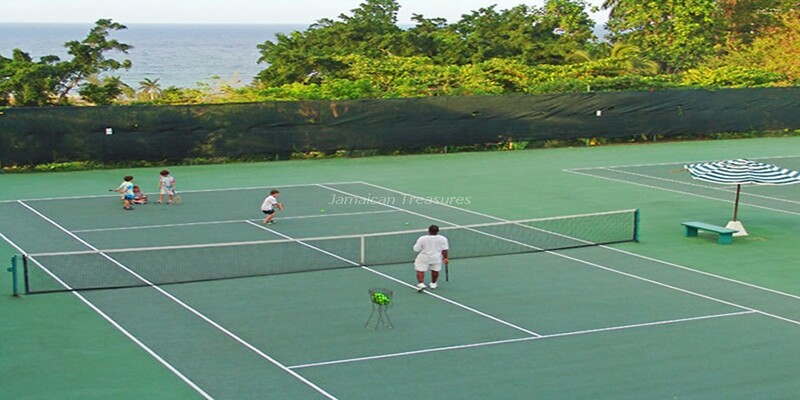 Guests can play golf at the golf course, watch spectacular sunsets from the Great House built in the 18th century, play tennis at Tryall’s tennis courts or enjoy complimentary water sports at the club’s private beach. 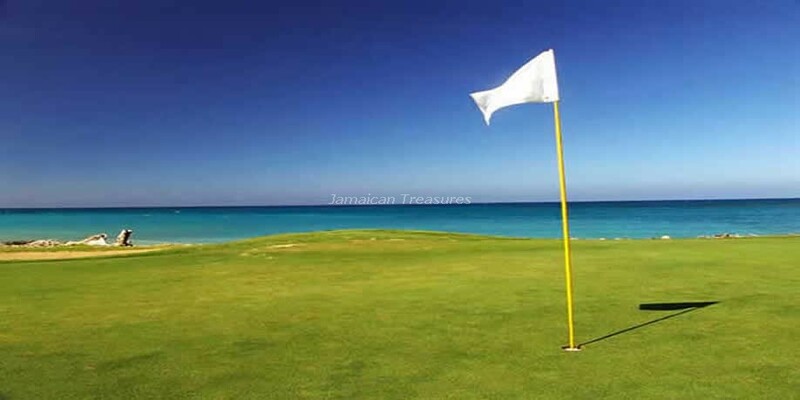 Karma Bay Villa provides a complimentary golf cart to its guests for exploring the beautiful and expansive Tryall Golf Course and Resort. 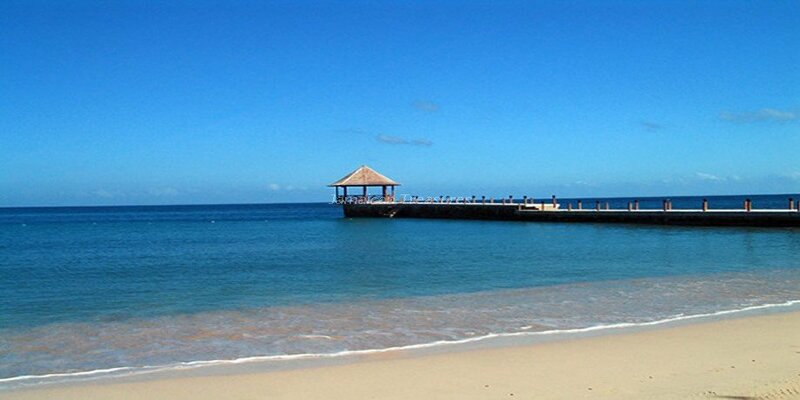 An expert staff provides a warm welcome to the guests, making sure that their every wish and desire is fulfilled. The team comprises a butler, cook, housekeeper, gardener and laundress. 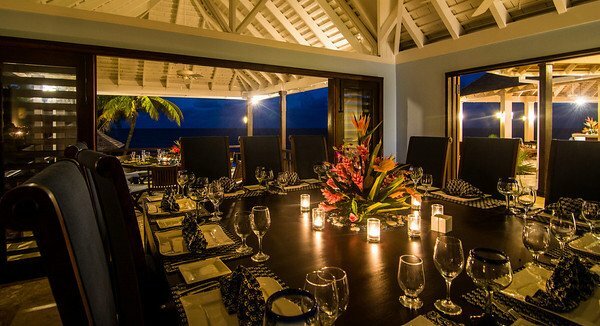 Extremely courteous and very well-trained, the staff aims to exceed the guests’ expectations. 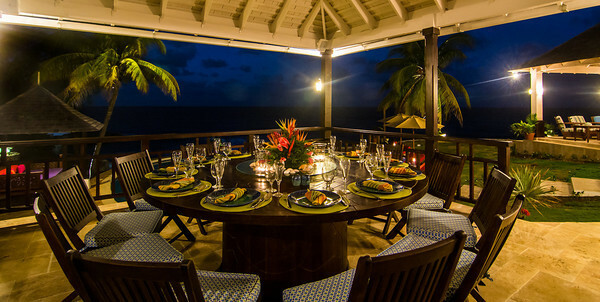 The cook is very experienced in preparing Jamaican and all kinds of global cuisine.